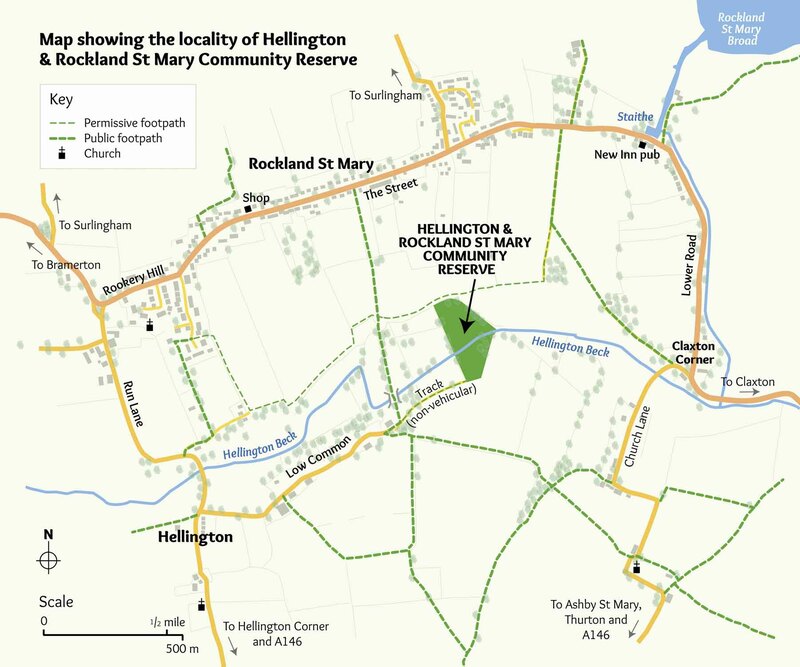 Here is Hellington and Rockland St Mary Community Reserve. The Reserve is in good health. We recently held the Big Draw (in the drizzle) and have installed a bridge and compost toilet on site. More details will follow in the next newsletter. Yes, stakeholders are still joining and here is a map. All are welcome to visit the reserve and join in at events. For more information phone Hatty Halstead, our secretary, 01508 538952.